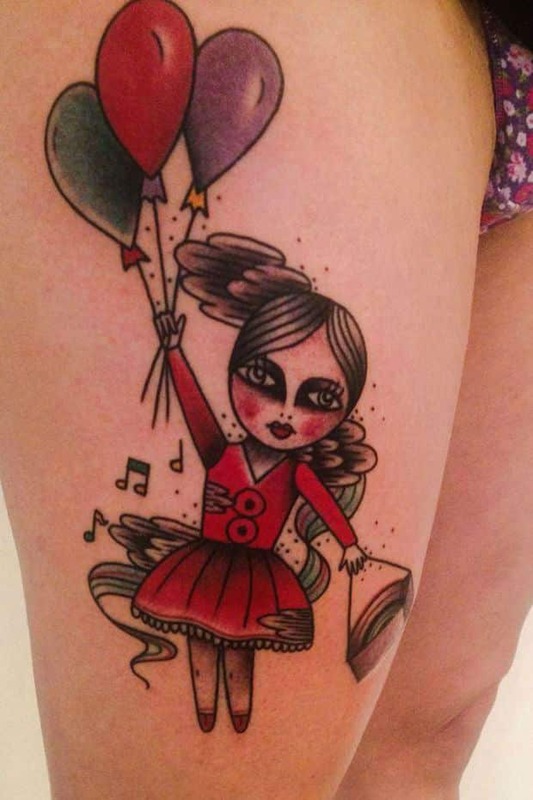 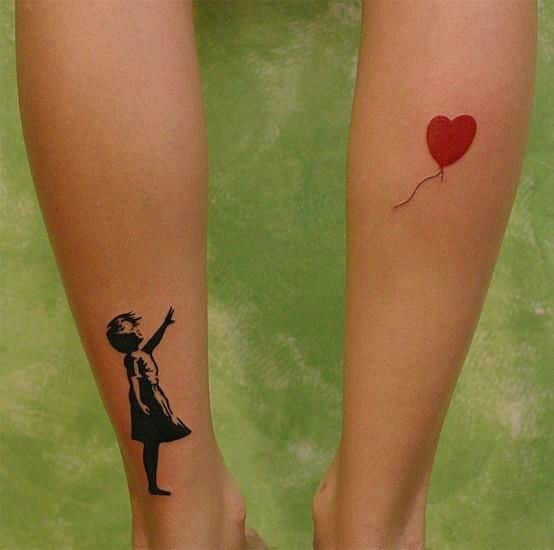 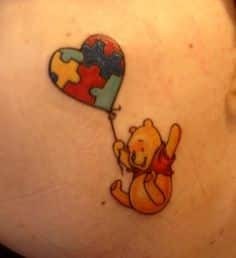 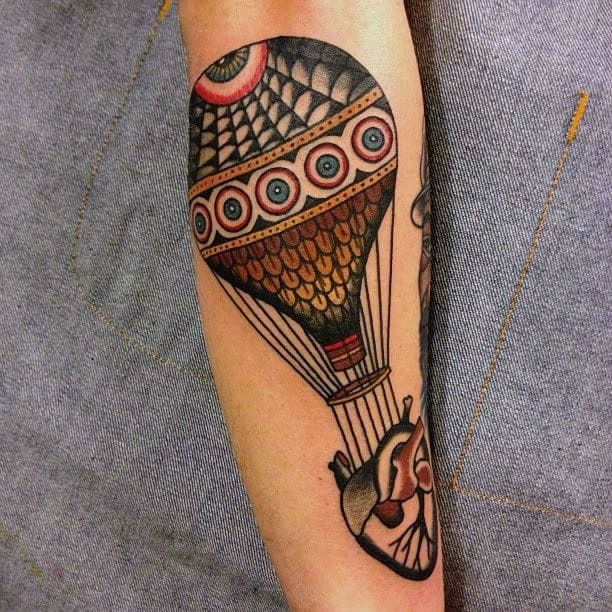 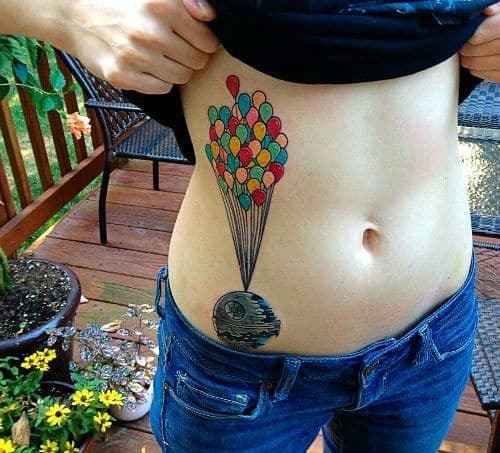 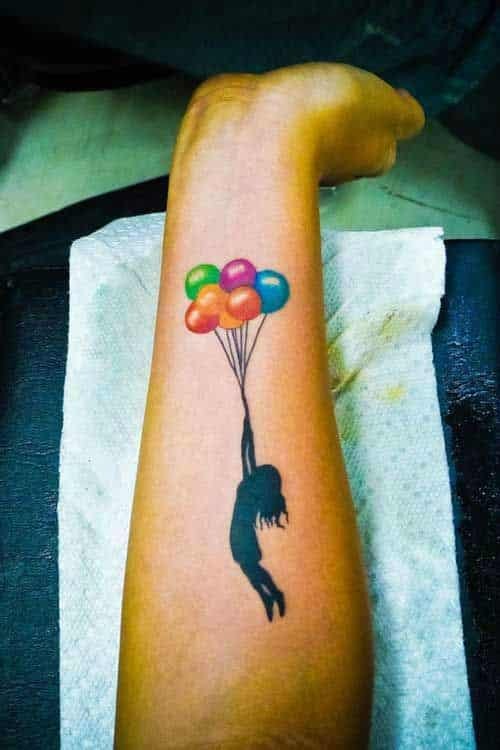 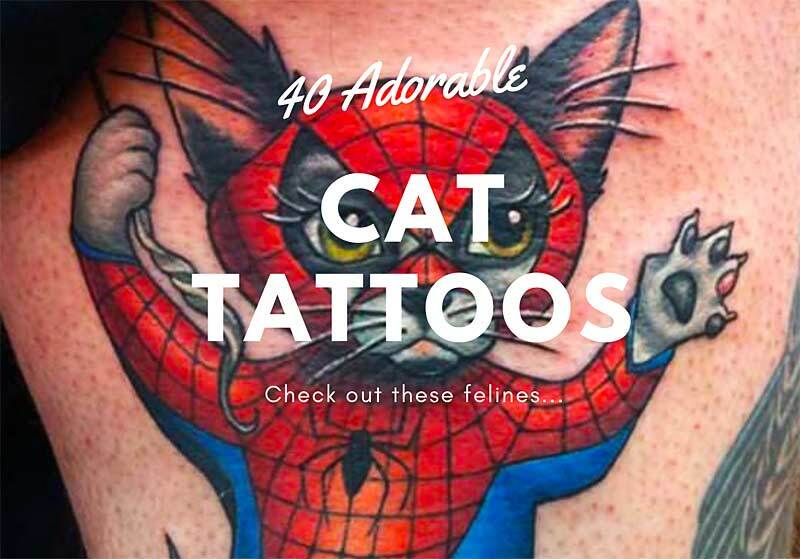 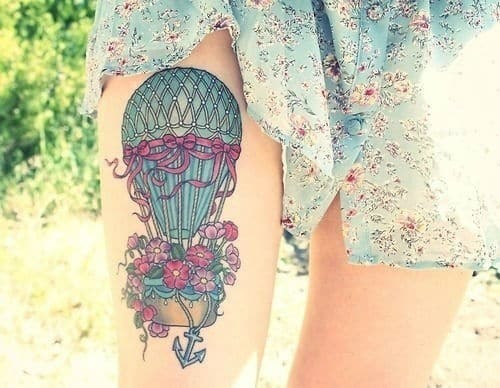 Just like most tattoos, the balloon tattoo can hold symbolic value to the men and women that wear this unique tattoo. 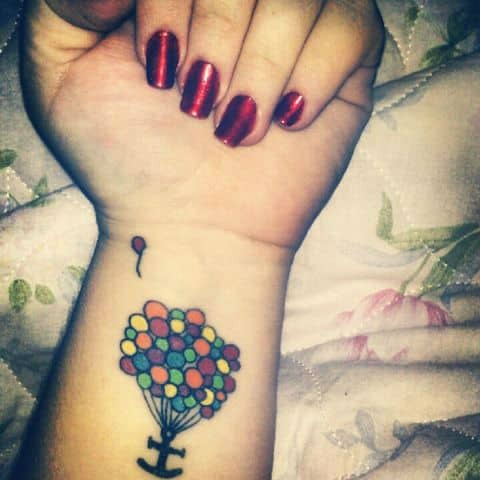 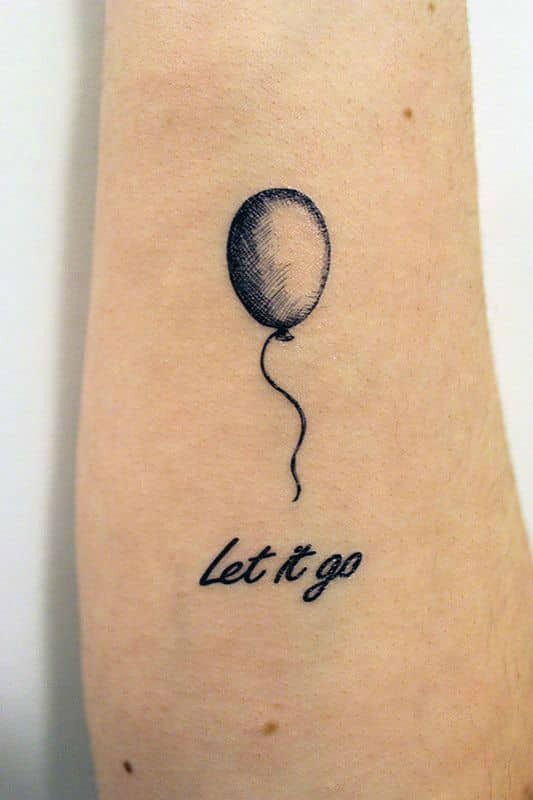 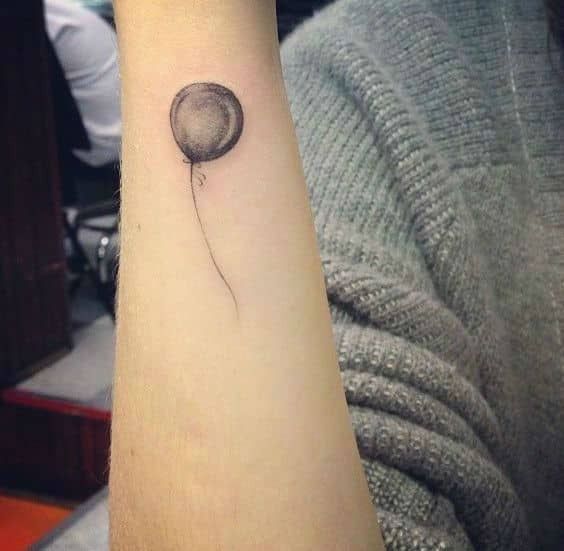 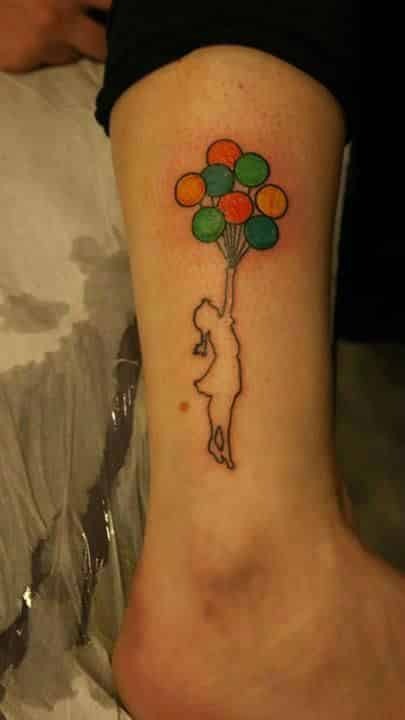 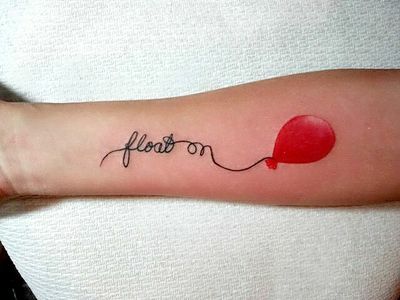 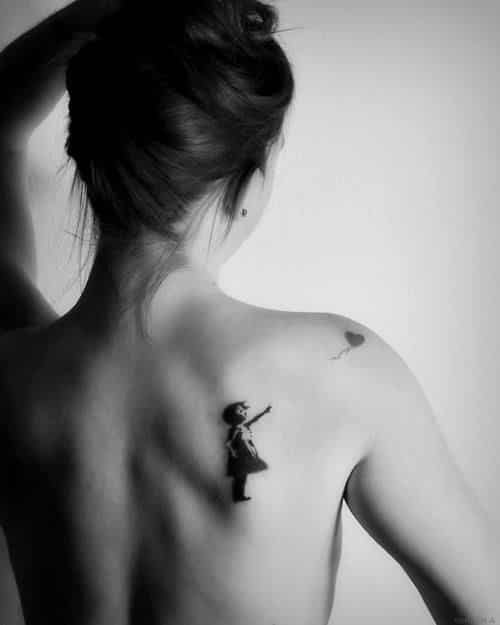 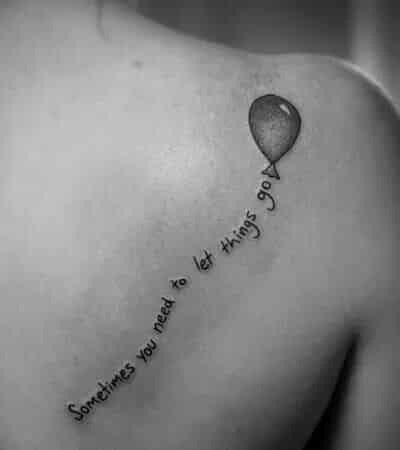 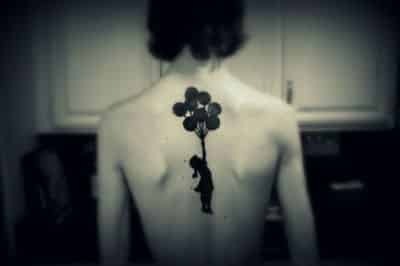 In fact, nearly all meanings of the balloon tattoo are positive and inspirational. 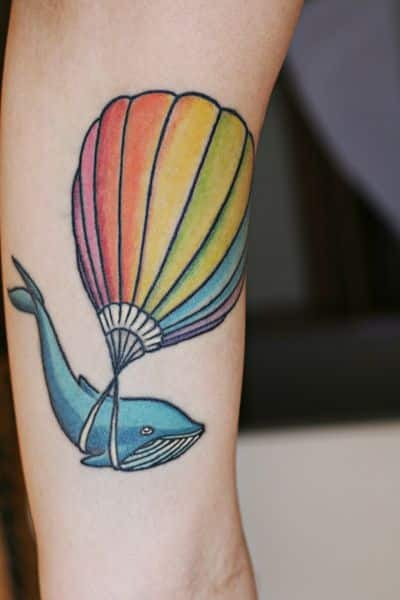 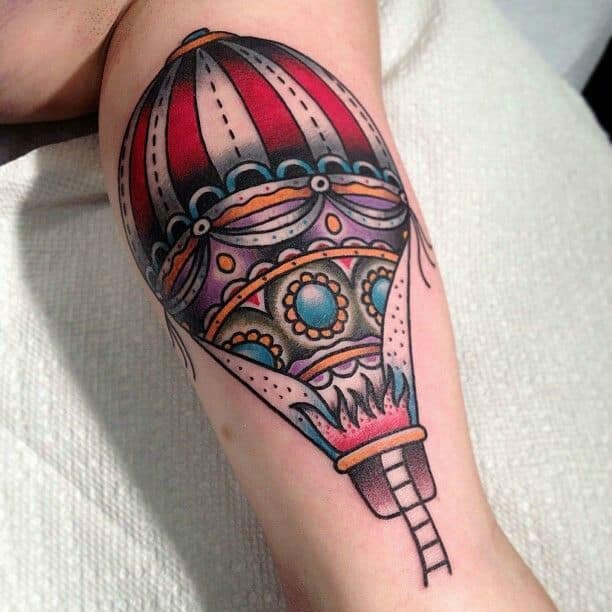 But remember, in the end, your hot air balloon tattoo represents what you want it too. 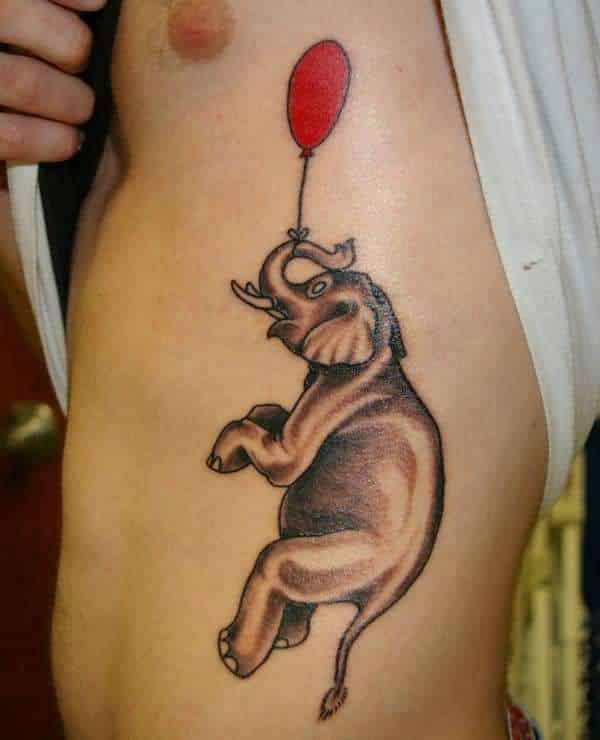 With saying that, below are the meanings that may be applied to your balloon tattoo. 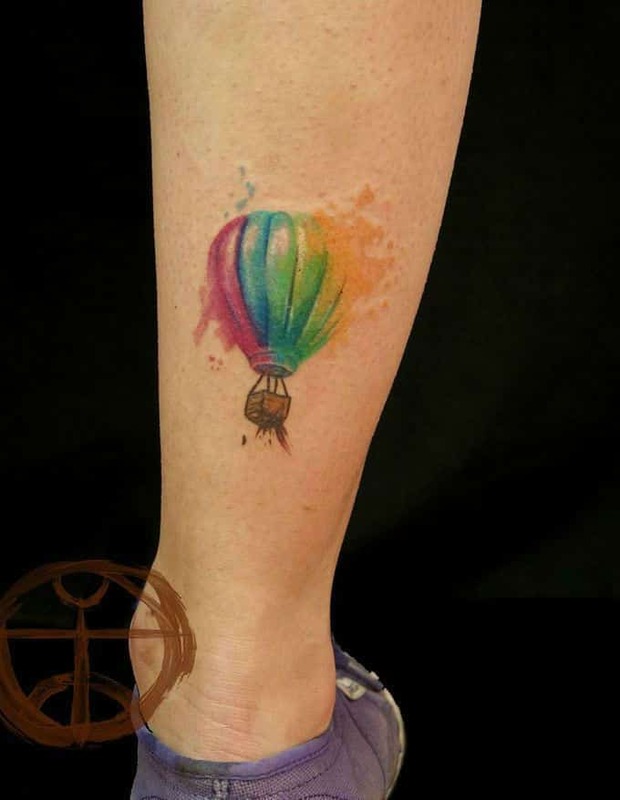 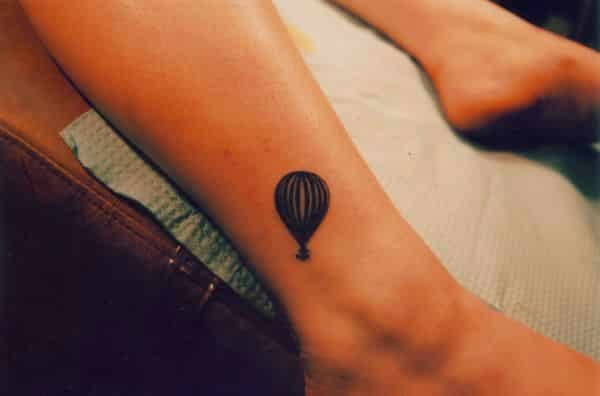 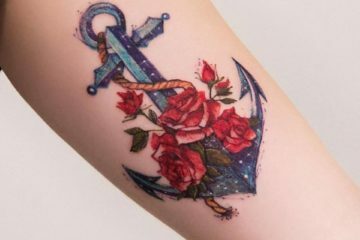 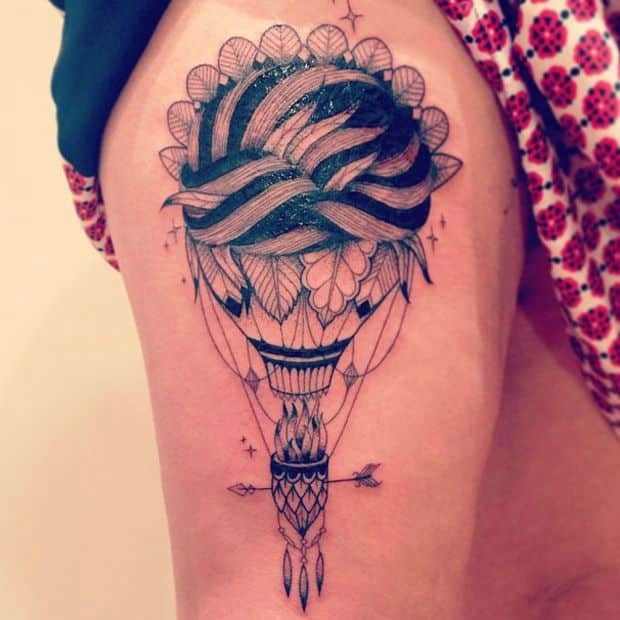 These hot air balloon tattoos are totally cute and showcase the different types of balloon tattoo you can achieve with just one object. 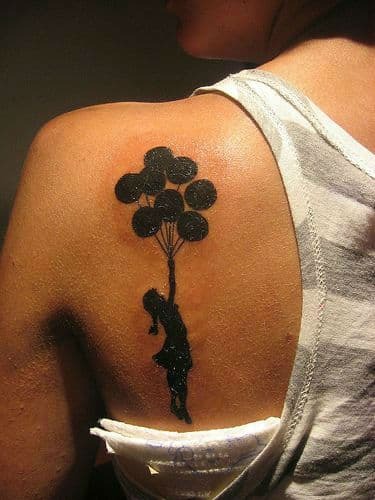 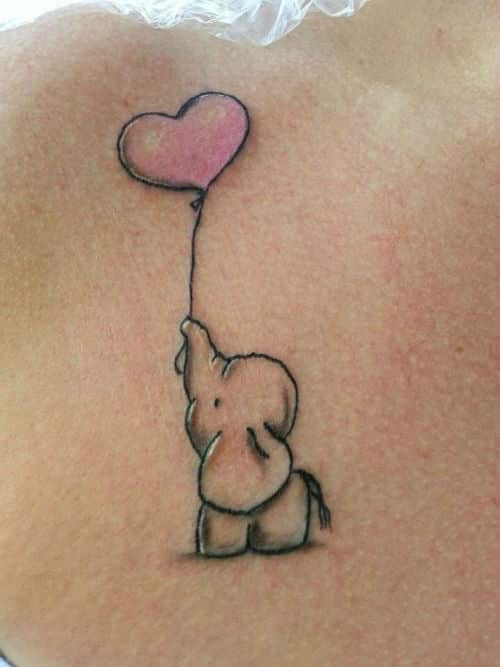 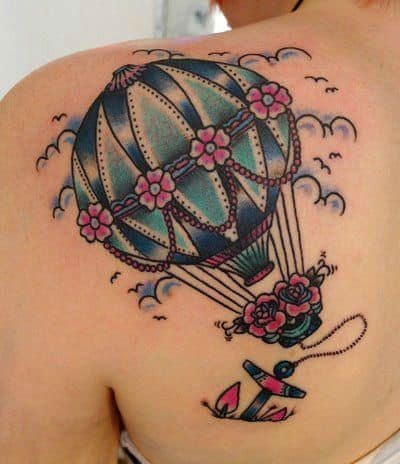 Some of these balloon designs are also part of a larger tattoo usually depicting a cute character of some sort.